I have been horrible at posting all my photos and experiences with my window farm. Lots of pictures, but no posts!! This will change soon, once I get organized. I'm in the process of 'downshifting' as it were, in preparation to go to university again. In the mean time, this is what I have been up to. I was inspired to make this today. My dad offered me this huge jar and I wanted to plant something in it. I've seen some of the coolest terrariums lately. Especially ones that have perfectly green moss growing in them. And mini terrariums! The cactus and moss are from the garden in front of my house. I used old aquarium stuff for the gravel in the bottom and the ruins. 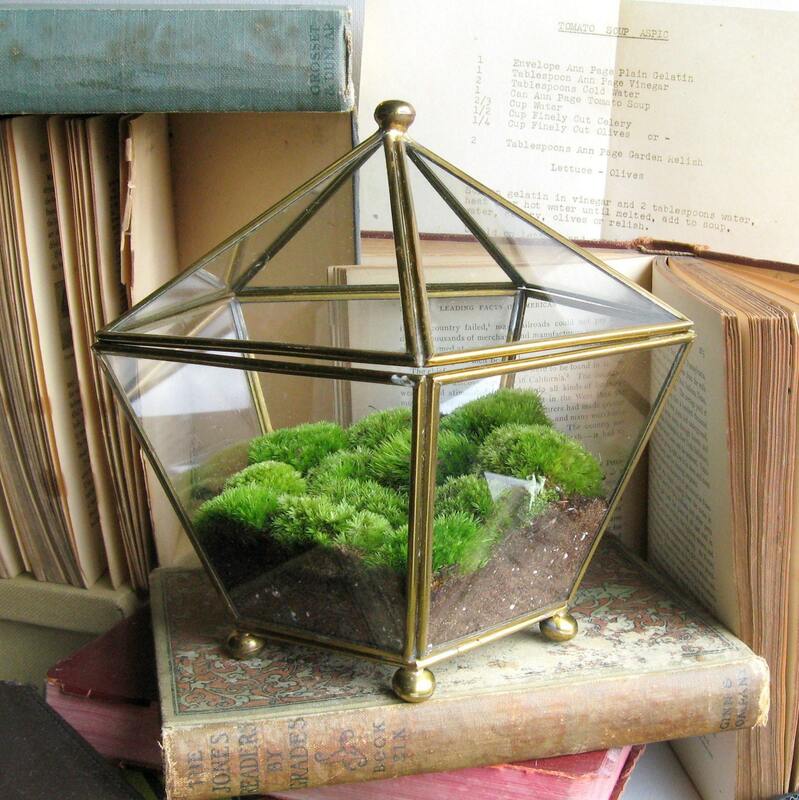 This site for DIYing a clover and moss terrarium is so rad! I love clover!!! So I am going to get my photos all uploaded and share more of my learning how not to grow food in a window farm.